Long View's foresters work with individuals, families, and organizations to develop and implement long term plans to care for and improve their forestland. In tackling management challenges, our specialty is finding creative approaches that help clients achieve the near universal, but elusive goal of "leaving the land better than we found it." Our philosophy is that a management plan should be an active, working document. Plans typically include a description of forest resources, a schedule of activities, and meet the requirements of common certification programs (Vermont Use Value Appraisal, New Hampshire Current Use, Natural Resource Conservation Service, American Tree Farm, etc.). We specialize in comprehensive multi-faceted projects that bring our philosophy of active, continuous management into action. We work with Long View's in-house crews as well as outside contractors on projects ranging from roads, trails, and clearings to invasive plant treatments and young forest thinning to commercial timber harvesting. While these fundamentals are included in a forest management plan, some landowners forgo a complete plan but would like information and reporting on specific forest resources. Other clients already have a plan but would like additional assessment based on specific interests or questions about their land. Systematic, periodic maintenance of boundaries is essential to effective management. We recommend clients follow a 10-year maintenance schedule in order to keep boundary evidence fresh and easily visible. ​Alex joined Long View in 2014 and leads the forest management division. Before entering the forestry world, Alex earned a B.A. from Middlebury College and taught Spanish at the Northwood School in Lake Placid, NY. He then earned a Masters degree from the Yale School of Forestry & Environmental Studies and went on to work as Yale's Forest Manager where he oversaw 11,000 acres of working forest in Connecticut, New Hampshire, and Vermont. 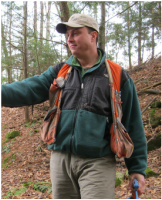 Alex is a Vermont and New Hampshire licensed forester and lives with his family in Saxtons River, VT.
Andy has been practicing forestry in Southern Vermont for twenty years. Before joining Long View in 2011, Andy worked for various other foresters in the area and ran his own business (Future Generations Forestry). Andy earned a B.S. in Forestry from the University of Maine at Orono in 1987. 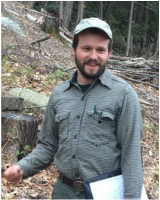 Andy is a Vermont and New Hampshire licensed forester as well as a Technical Service Provider for the Natural Resource Conservation Service. Andy lives in Chester, VT and is an active member of his local fire department. Dan first joined Long View in 2002 and spent two winter seasons logging. He then switched gears to pursue interests in farming and trailwork before starting his own business. For five years Dan grew a business focused on treework, small scale logging, and invasive plant control. In 2012 Dan decided to return to Long View to work with a larger team and to pursue his broad interest in forestry. 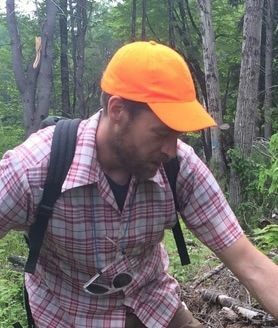 Dan is now a Vermont licensed forester and splits his time between forestry and woodland service work for Long View clients. He and his family live in Brattleboro, VT.
After graduating with an A.S. in Forestry from the University of New Hampshire's Thompson School in 1985, Jeff went straight to the woods and has been working there ever since. Jeff splits his time between forestry and logging. In past years he has been both a New Hampshire Licensed Forester and the state's Logger of the Year (1992). He joined Long View in 2000 (our second year of business) and has been a steady hand and voice of experience through the years. Jeff exemplifies the spirit of Long View by being both forester and logger with expertise in both areas that he brings to bear in all his work. He lives with his family in Alstead, NH. Banner photo at top: Jeff Putnam putting a leave tree spot on a healthy white pine in Londonderry, VT.